Well after 16 months, 425 posts, over 88,000 hits and many,many hours put in, I have had to call time on the blog. Due to family, work and school commitments I don't have the time to put into it any longer and can't do justice to the team/ fans even as an unofficial blog. 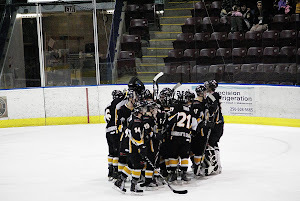 Last season, the blog was one of the most updated (not well typed at times, sorry) and for the most part informative in the BCHL. During a difficult season for the team in the 2011/12 season on and off the ice, the Grizzlies social media team set about and put together a facebook, twitter, photography and a blog to put the Grizzlies on the social media map. The Grizz Roar was proud to be a part of that. But, it was only meant to be a stop gap until an official blog was born. 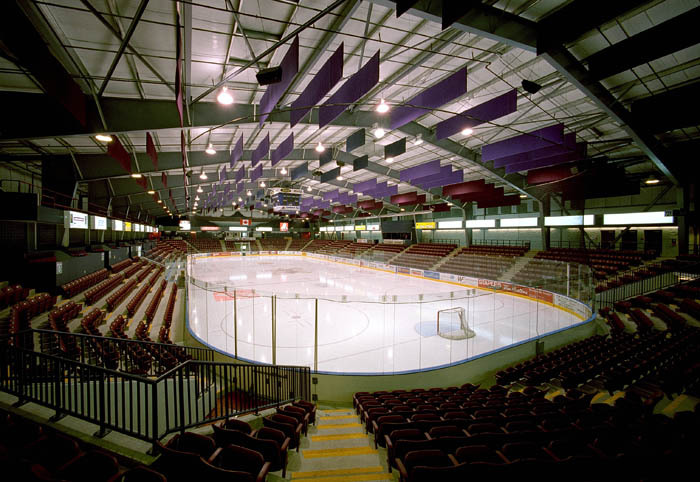 Usually, the broadcaster from a BCHL team does a blog for most of the teams ??? As an unofficial blog, I had luxury of being a bit more edgy, but, at the same time, respectful to the organisation. I hope that was accomplished. It has been a thrill as a fan, to be able to do something for the team your passionate about. Grizzlies fans will have lots to look forward to as the social media team goes from strength to strength with Tony, Mike, Roy and Kevin. I'd like to say a big thank you, to Tony, Mike, Roy, Reza, the new Grizzlies ownership, players from the last two seasons, players parents/families, the fans for sure and most importantly my amazing wife and one year old daughter for allowing me the time to have done this. Good luck to Bill and the boys in what looks to be an amazing season as we go forward. Thanks folks it's been a blast!!! Dave, I just visited your blog this morning and read this recent post. I was in shock to hear the closing of the "Grizz Roar" blog but totally understand why its closing. Myself I know the amount of hours and your own time it takes to do a blog of any kind let alone a BCHL or hockey blog. Most of your evenings after work go into updating the blog, searching for pictures, information, stats, articles, updates, trades, news of any kind of current or former players etc not counting going to the games, following the team and having a regular life outside of hockey and the blog. So I know why your shutting the blog down. & I dont think alot or most people-fans even know how long and how much time us bloggers have to put into or spend on a blog on a daily basis. So myself really appreciates any kind of blog, especially the BCHL related blogs because I know what it takes to do a blog. 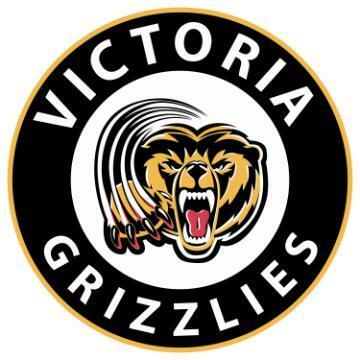 So in this I would like to say thank you for doing the "Grizz Roar" blog and keeping not only the Victoria hockey fans happy but the rest of the BCHL and just hockey fans in general happy that not only like to follow their own team but the rest of the league as well. I may not check out all the BCHL team blogs on a daily basis but I try and make a stop at atleast all of them a few times through out the week. Every team blog is different and has its own special thing about it. Some are updated daily, others are slower and not updated as often. Yours was always updated most of the time and full of Grizzlies news, stats, updates, trades, birthdays etc I know the Victoria fans, players, and parents etc are going to miss you and your blog. Its a great way for players, players parents and family to follow their team and I found out a great way for former alumni to follow the team as well. 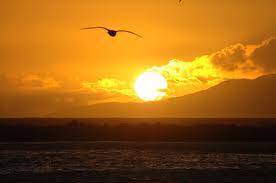 Thanks again for doing a great but tough job with your blog and all the best with your family-schooling etc. The league and fans and especially the Grizz will miss you and your blog! Thanks for the kind words, it means a lot. Again, your blog was the inspiration for Grizz Roar and like you, I did it for the passion of the teams we support. Your so right, few fans (or the organization for that matter) know how many hours that are put into it, to make it something for the fans to enjoy. I enjoyed doing it, and I'm hopeful, the Grizzlies will start an official blog or someone can do another unofficial one. As you say families come first and my daughter means the world to me. 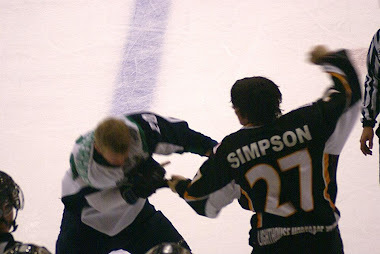 As we know, a blog is an important part of any social media set up and yours has kept Vipers fans in the know with all the vital stats, info and up-to-date views and opinions for many years now. Keep up the great work and your blog and work is highly thought of around the league. Thanks again VDHF, and all the best to our teams going forward.